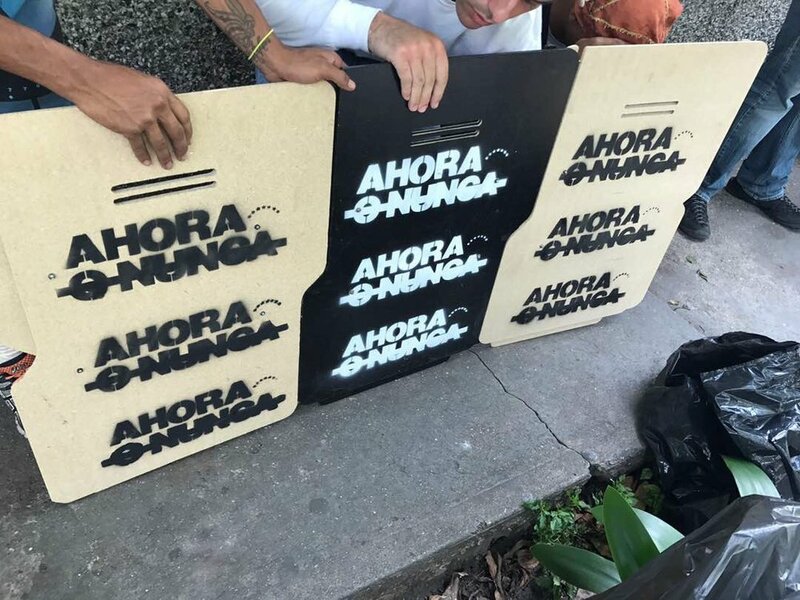 Amidst the current political, social and humanitarian crisis in Venezuela and the over 100-days protests, the government decided to rewrite the constitution and prolong it’s time in power. This wasn’t well received by the Venezuelan people, who have been under the same regime for 19 years, living in overwhelming levels of scarcity, insecurity and misery. Living abroad and watching from the sidelines is hard. I wanted to contribute by inspiring the thousands of young people who risk their lives every day in these deadly protests. I posted an artwork in social media with a message that inspired strength and determination to not let things stay the same: Now or Never. It took a life of its own and became bigger than a simple post. 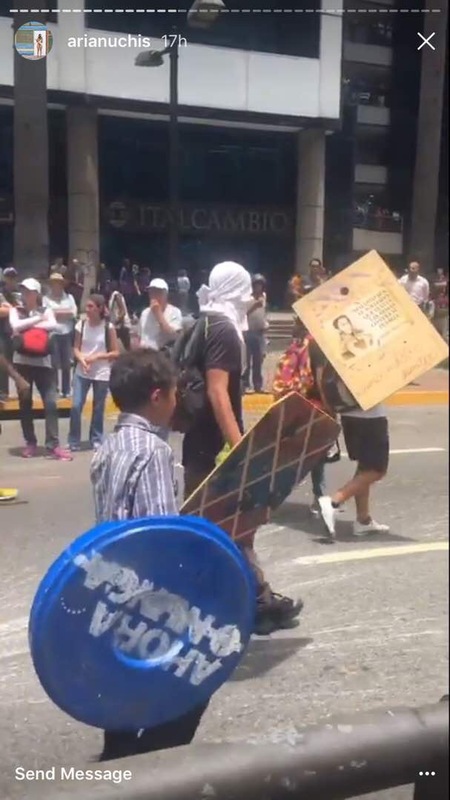 So, I took it a step further and create shields to give protection to the “Venezuelan Warriors” and inspire them to continue fighting for freedom.